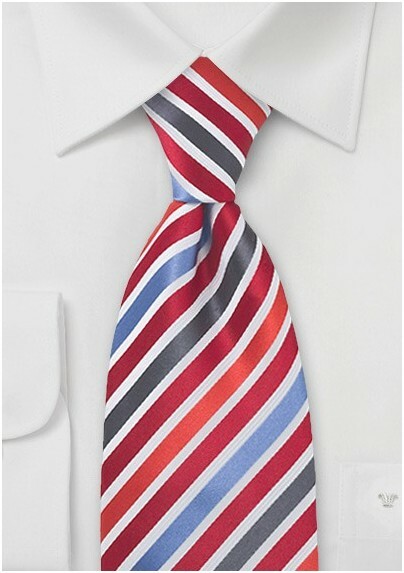 This bright tie adds a pleasant punch to your everyday wardrobe. Because of the wide array of colors in this tie, you can mix and match it with just about anything.Designed by Chevalier, this tie is handmade from 100% silk. 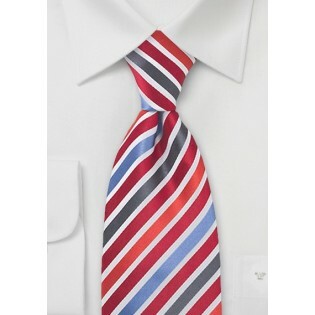 You’ll be tempted to wear this tie with darker suits and shirts for contrast to the red and white colors. Another way to go would be to pair it with a crisp, white shirt and light gray suit. It’s guaranteed to get attention.